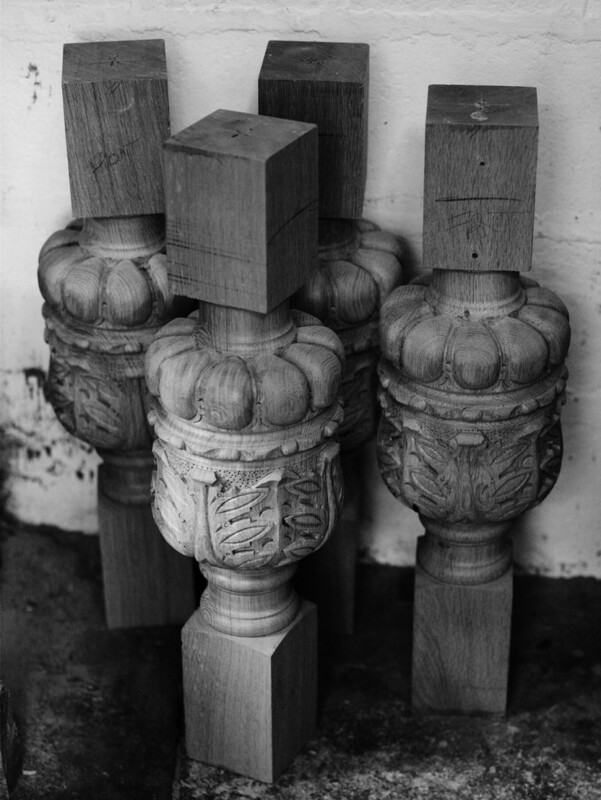 Whenever we open the doors to our workshops here in Suffolk, people usually appreciate the “heritage” nature of our workshops as well as the actual pieces of furniture. And so it was recently when we had our sale and open day On February 27th. 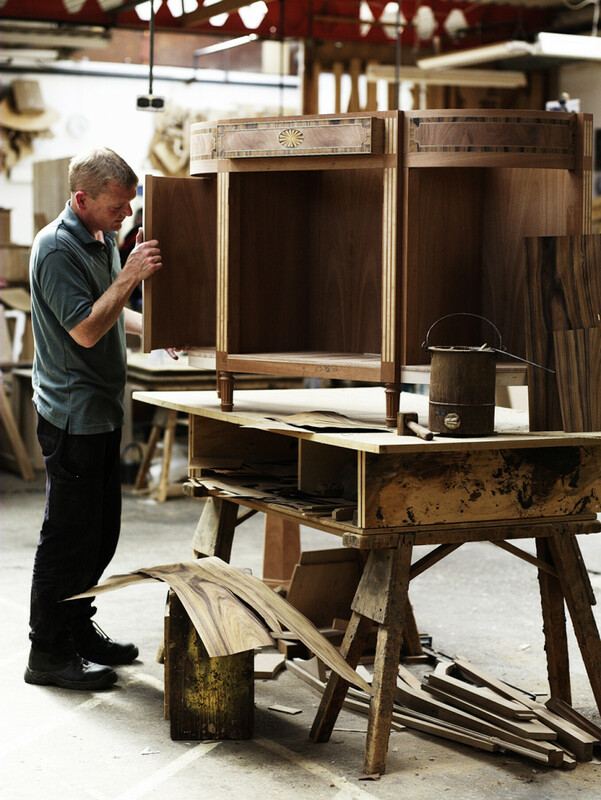 For those who missed it, some pictures below of the route our furniture takes through our workshops. 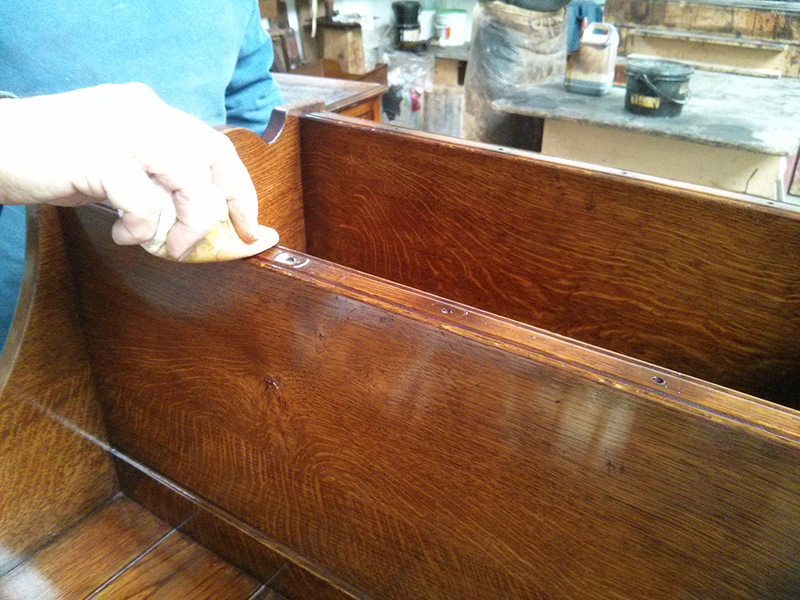 Our oak is moved over to our workshop having been dried and seasoned at our sawmill in Witnesham. 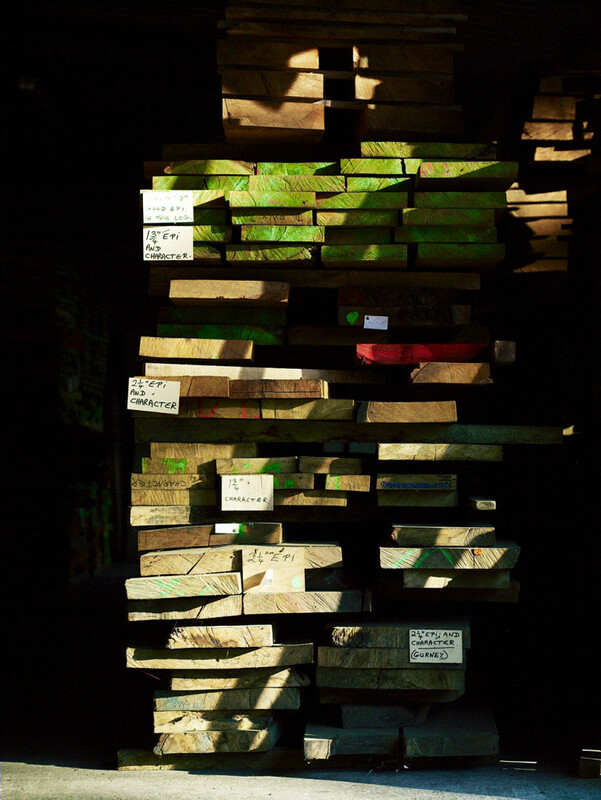 All of our oak and other woods come into our mill. 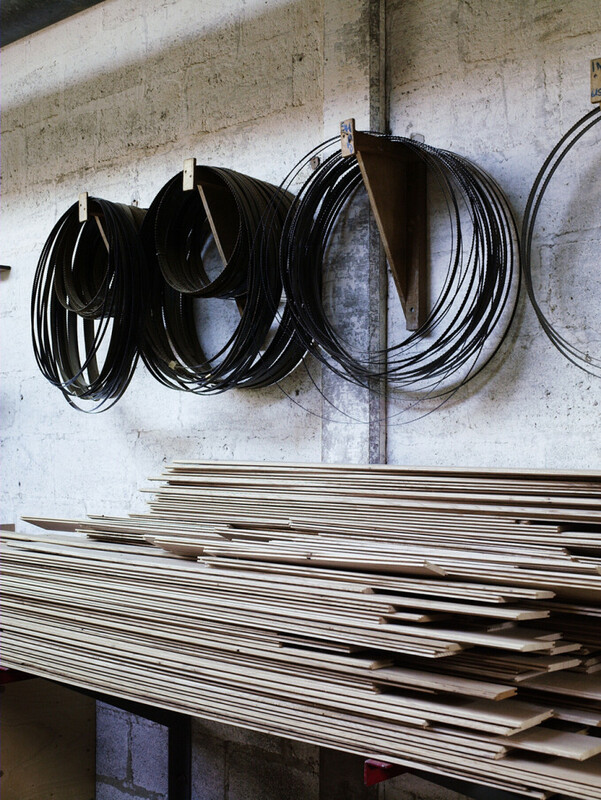 A selection of band-saw blades, various widths and teeth. 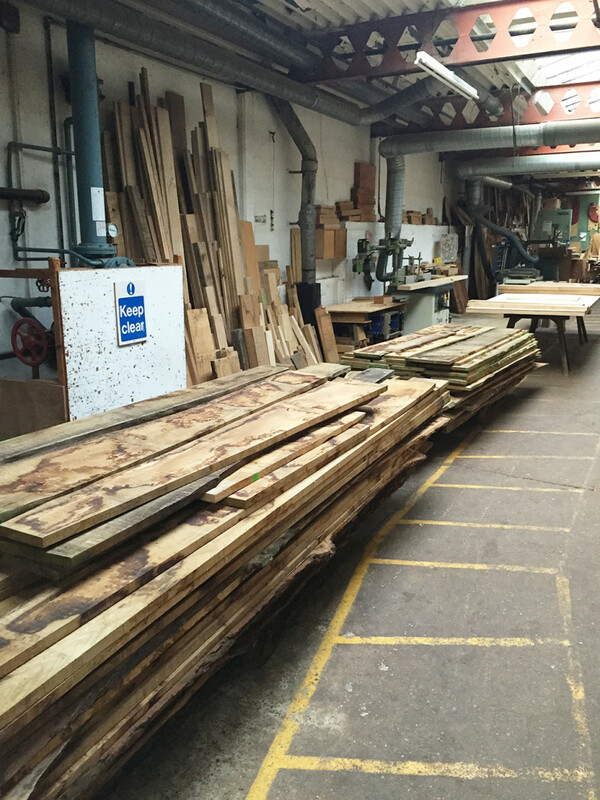 Sawn oak boards brought in from the sawmills. 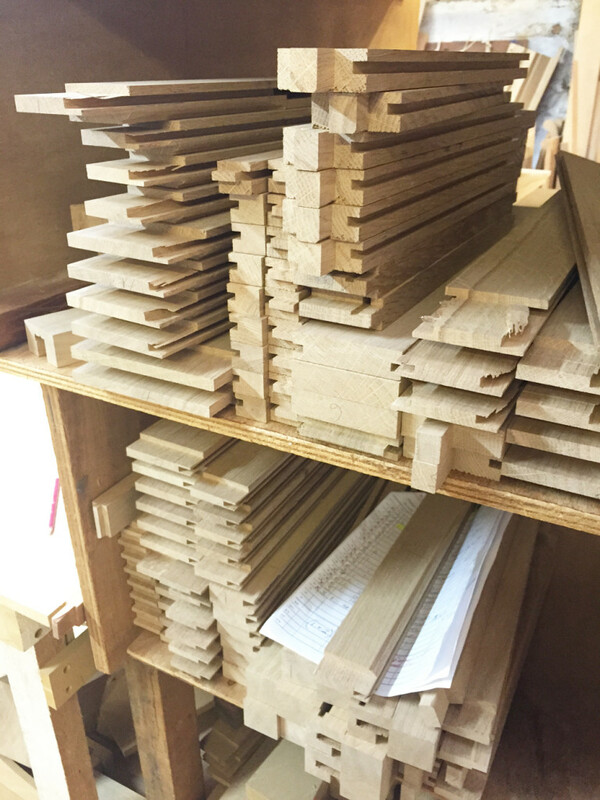 Every piece of furniture has a cutting list and the various pieces are stored together ready to be assembled. 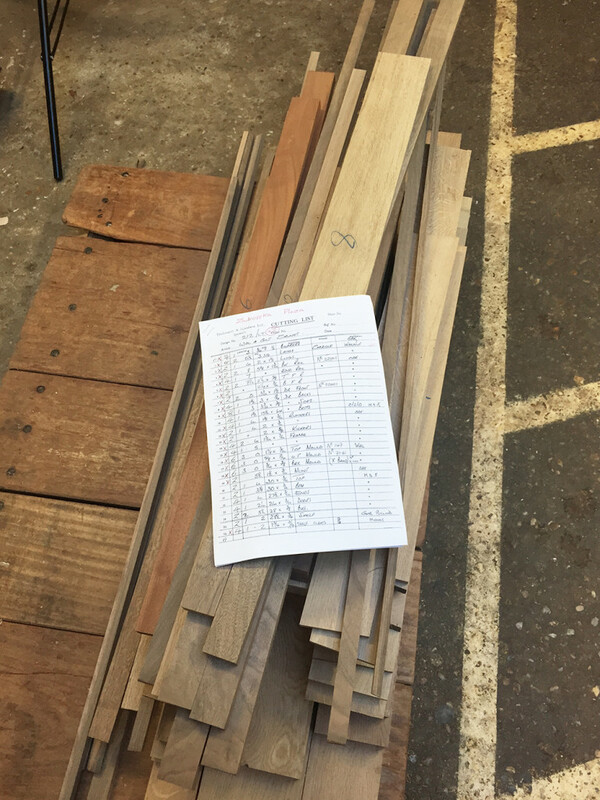 Some timber for a Walnut & Gilt Cabinet, cut ready for our cabinet-makers. 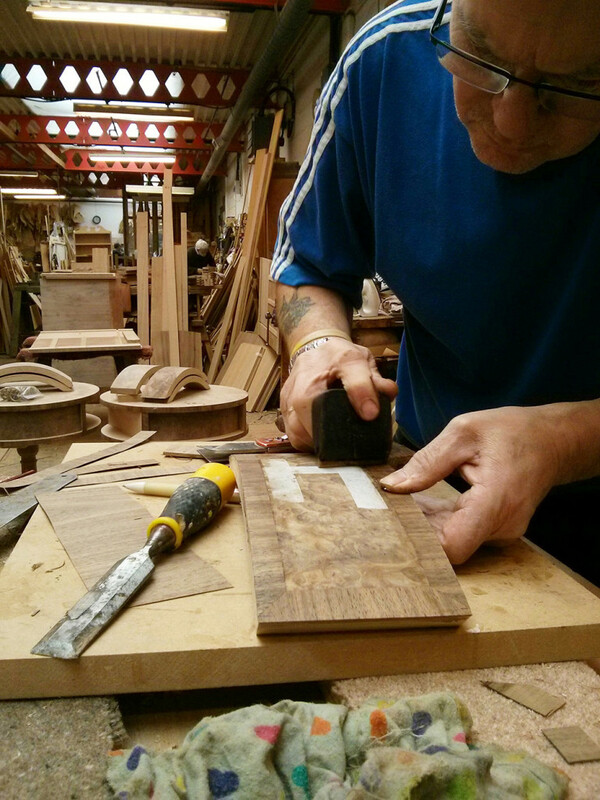 Cabinet maker, Alan, hand veneering a drawer front. 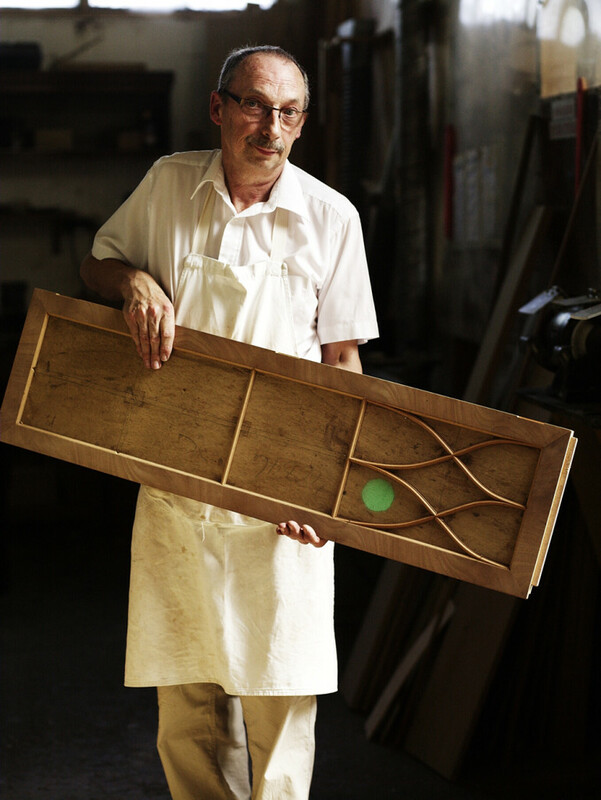 Cabinet Maker, Adrian (aka 'Sid') with a hand veneered door panel before polishing and glazing. 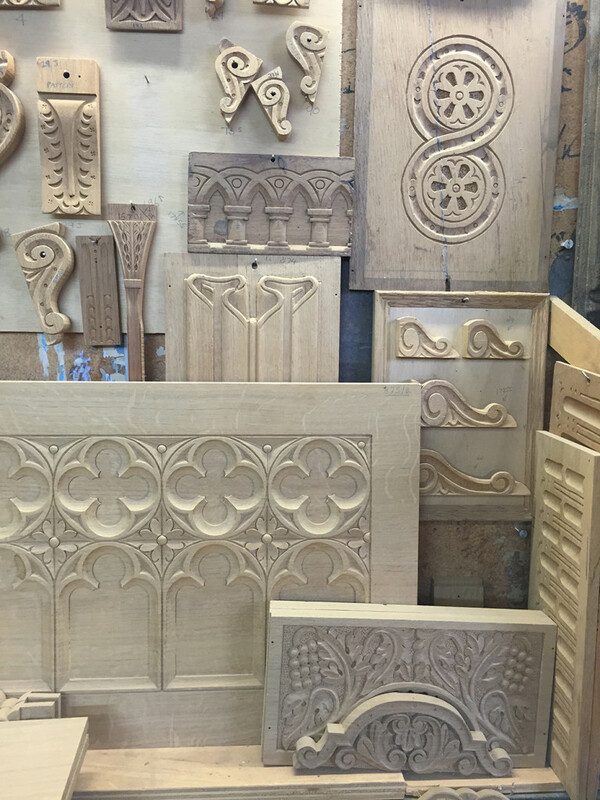 A selection of various hand-carved panels and brackets. 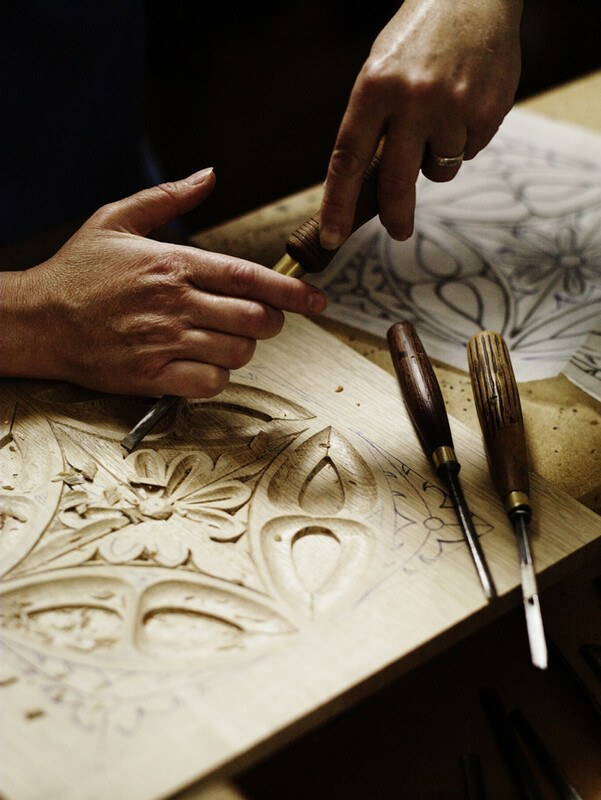 Hand carving from full size detailed drawings. 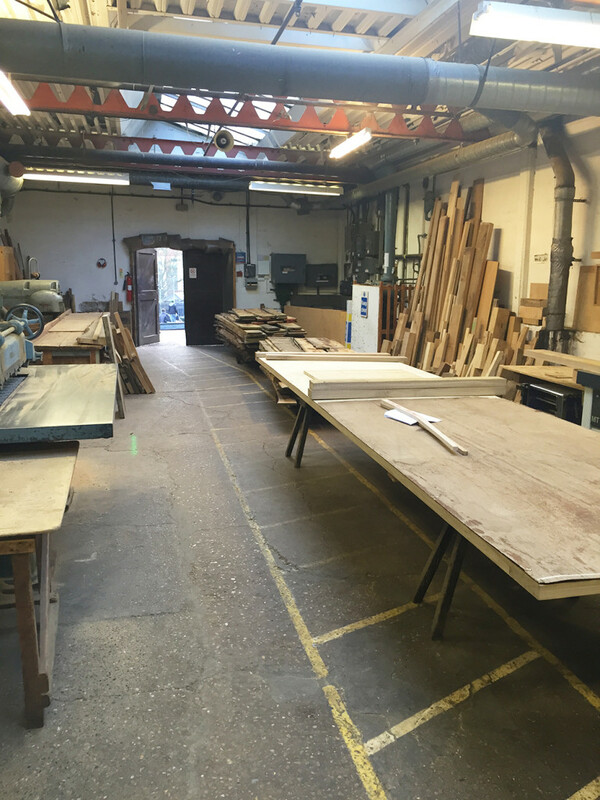 Pieces leave our workshop to go into the polishing shop where up to 13 separate processes are used to polish pieces.